What Does The Best Bond Cleaning In Redland Bay Cover? Finding and selecting reliable house cleaning in Redland Bay is not easy. The most common questions we get asked by people like yourself have been collated below to assist you in making a smart decision. 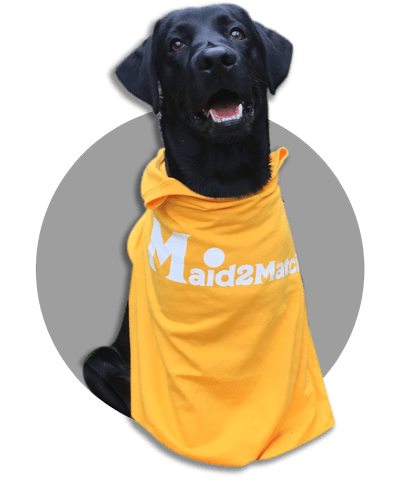 WHY ARE MAID2MATCH REDLAND BAY’S BEST AT VACATE CLEANING? The truth is great bond cleaners possess a different skill set than regular house cleaners and therefore requires specific experience, dedication, and a first-class cleaning checklist. At Maid2Match, we personally vet all our cleaners, after having them complete a three-part application form. We provide extensive support and have crafted the most effective bond cleaning checklist you’ll find. Don’t take any chances with your rental cleaning Brisbane, contact us today. Redland Bay is about 35 kilometres south-east of Brisbane, and its name comes from the bay it’s located on. In fact, Redland Bay is part of the Moreton Bay. Its original name given by the Aboriginals is Talwalpin, and you can still see these cottonwood trees in Redland Bay today. There are plenty of sites that are heritage-listed, like the Redland Bay State School Residence on Gordon Road, or the Serpentine Creek Road Cemetery on Serpentine Creek Road. Another interesting historical tidbit is that the flying boats of Qantas Empire were operated from here up until 1971, but the Barrier Reef Airways also had flying boats. In fact, the Water Airport here was also briefly Brisbane’s International Airport. But even if you can’t use the flying boats, you can still go on a day cruise on the nearby islands, go for a swim or enjoy some snorkelling. The North Gorge Walk is a beautiful nearby trek, but you can also take the tour of the Redlands IndigiScapes garden, that’s filled with wonderful flowers. After that, you can always enjoy one of the wonderful, quaint seafood restaurants in the area. There are also plenty of micro-breweries here, as well as craft beer bars.